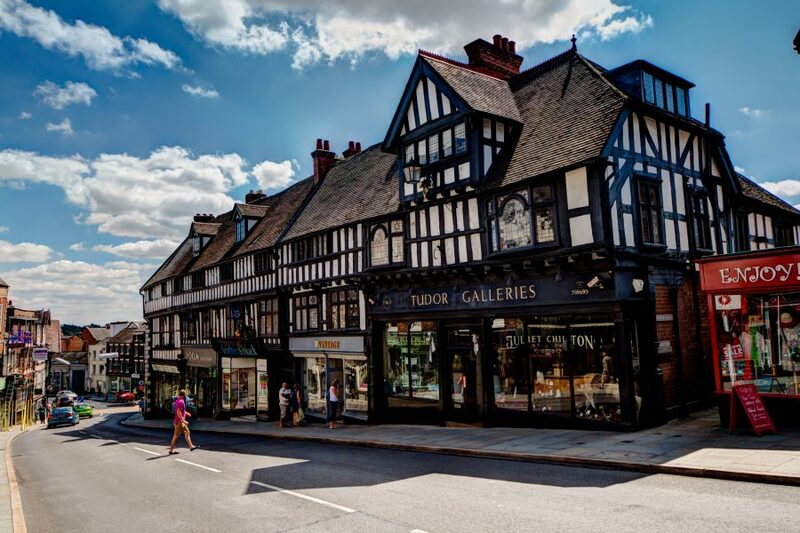 I said in my previous review of Shrewsbury that I wanted an excuse to revisit the town and fortunately the chance arose, just over 2 years since we last trod the pavements of this historic town. 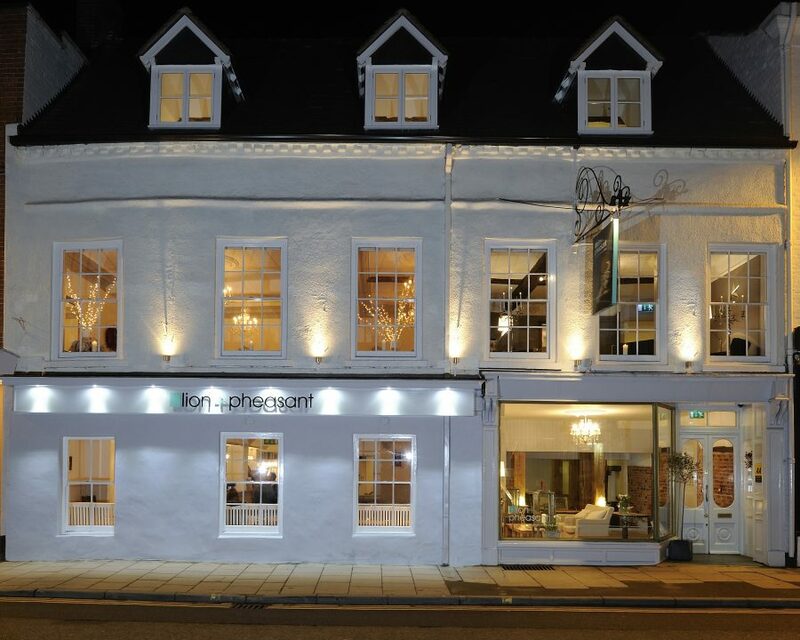 This time around we stayed at the Lion and Pheasant Town House Hotel. 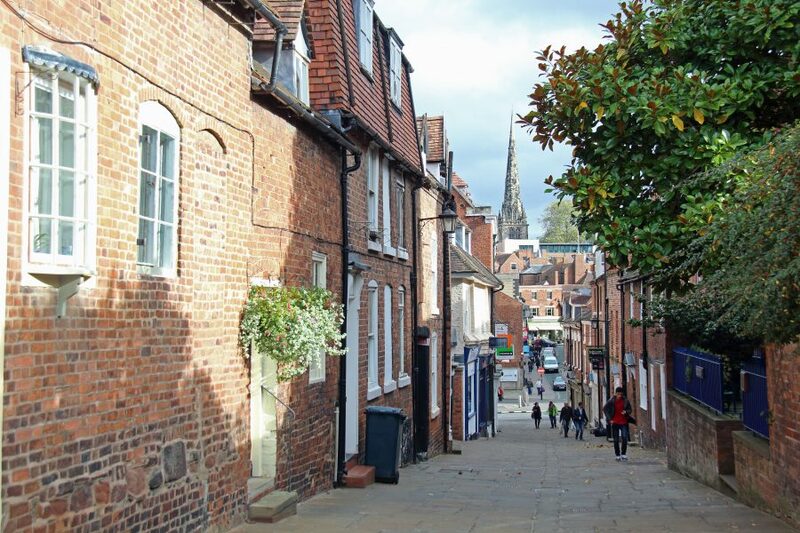 It’s ideally situated in the popular Wyle Cop and offers stylish yet traditional comfort. The hotel has 22 rooms but if, like us, you enjoy a self-catering there are 2 choices in the form of The Stables and Hotspur cottages – we chose the latter. The cottage itself is just across the road from the hotel in a quiet courtyard so you don’t have to walk far if you choose to have breakfast in the hotel restaurant. The accommodation is very comfortable with a well-equipped open-plan kitchen/lounge and 2 bedrooms upstairs, one en-suite. If you decide to stay in and cook your own meals, you won’t struggle to find quality ingredients to purchase. The Pomona Grocery on Castle Gates sells a wide selection of local and organic food while the Market Hall offers traditional fruit and veg stalls. Although the cottage doesn’t have its own parking the hotel has a small car park on a first come, first served basis. It is, however, quite small and rather tight to manoeuvre around but we managed to find a space during our stay. If you’d prefer not to attempt the parking, or spaces are unavailable, there is a very convenient NCP car park just a few steps up the road offering plenty of spaces. While we were in Shrewsbury the town was holding its annual Bookfest event, whose patron is children’s novelist Michael Rosen. 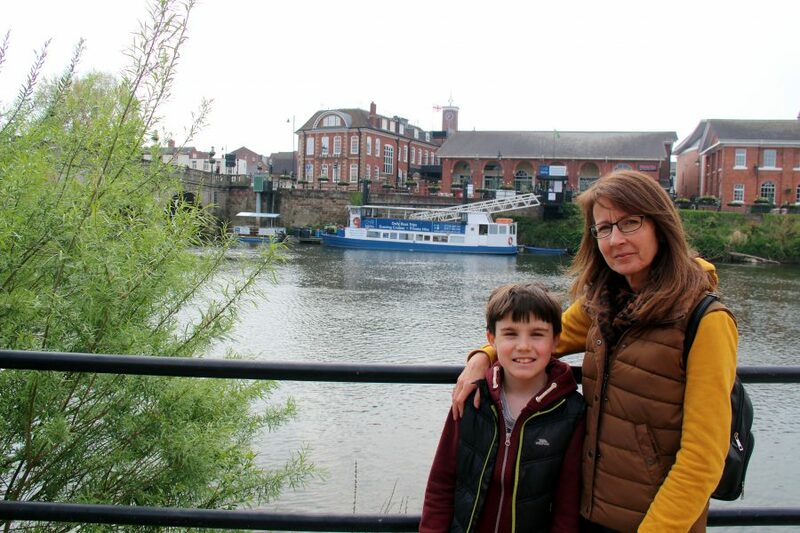 The event has been running since 1999 and offers many ticketed and free events around the town, all with the aim of inspiring children to enjoy the pleasure of reading. During our visit, the Museum and Art Gallery in the centre of town, was hosting an interactive Rhyme Around the World Exhibition looking at popular verse from across the globe. 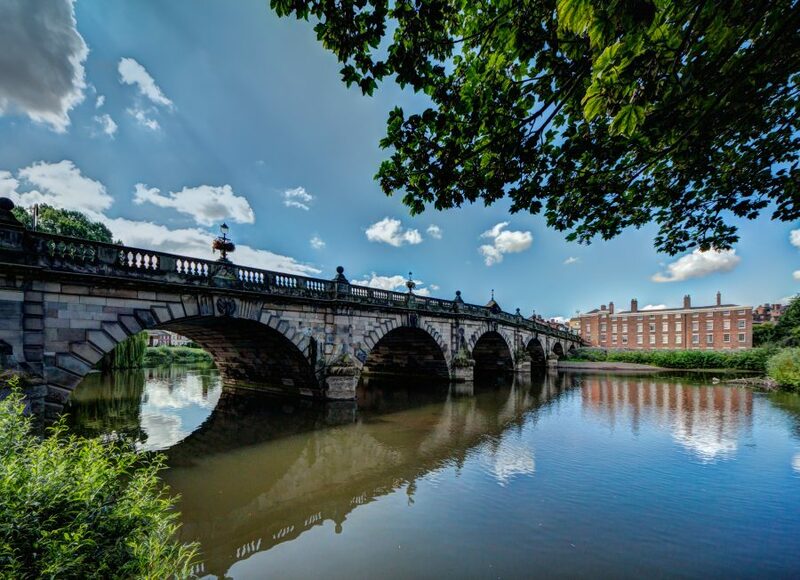 In fact, Shrewsbury has a busy events programme, ranging from the Cycle Grand Prix to the Shrewsbury Flower Show, the oldest in the world! So it seems it’s always a good time to visit. 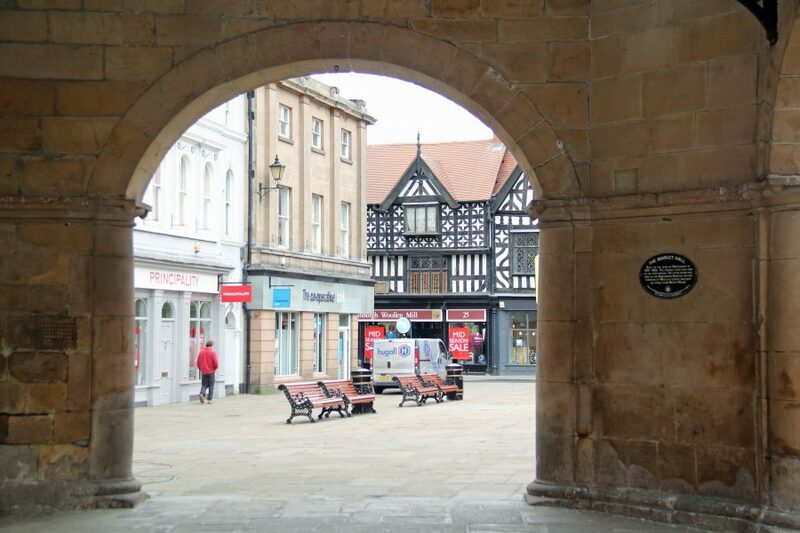 Regardless as to what exhibition or event is being held, the Shrewsbury Museum & Art Gallery is always worth a visit. It’s a fine museum with excellent exhibits and information boards. Sometimes, trying to read all the info displayed can get rather tedious but not here; this is really interesting material which we all enjoyed reading. For example, I didn’t know there are over 70 hill forts in Shropshire, more than almost anywhere else in Britain; and did you know that Romans introduced tombstones to Britain? Something we missed out on during our last visit was a boat trip so we were determined to take to the water this time. 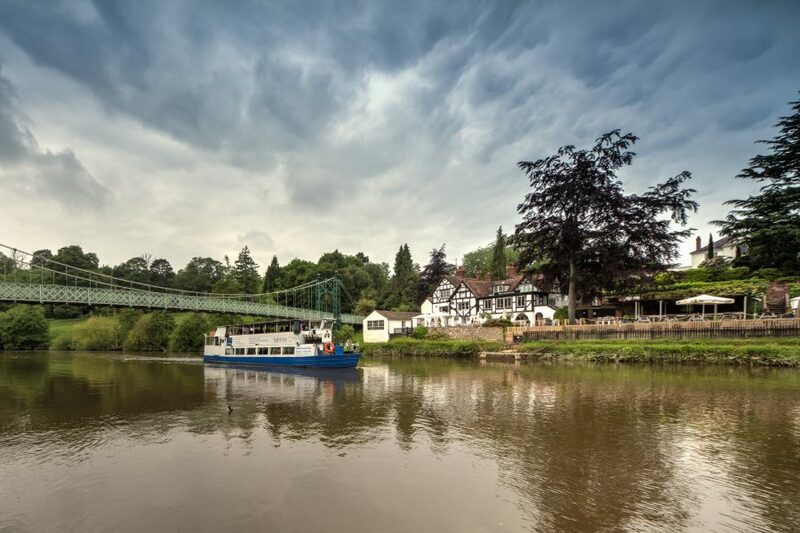 As Shrewsbury is almost surrounded by the River Severn, a boat trip is an ideal way to see some of the sights. 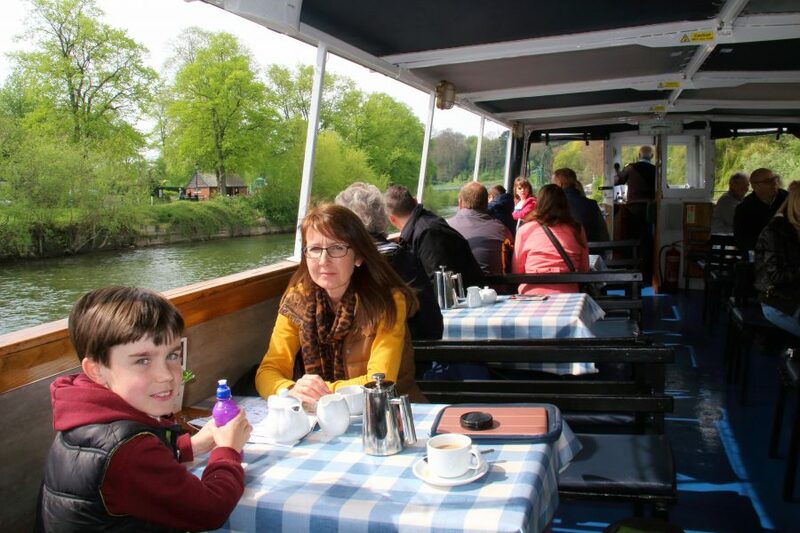 We jumped aboard the Sabrina, a river cruiser, and enjoyed a leisurely 45-minute trip from Welsh Bridge to English Bridge. 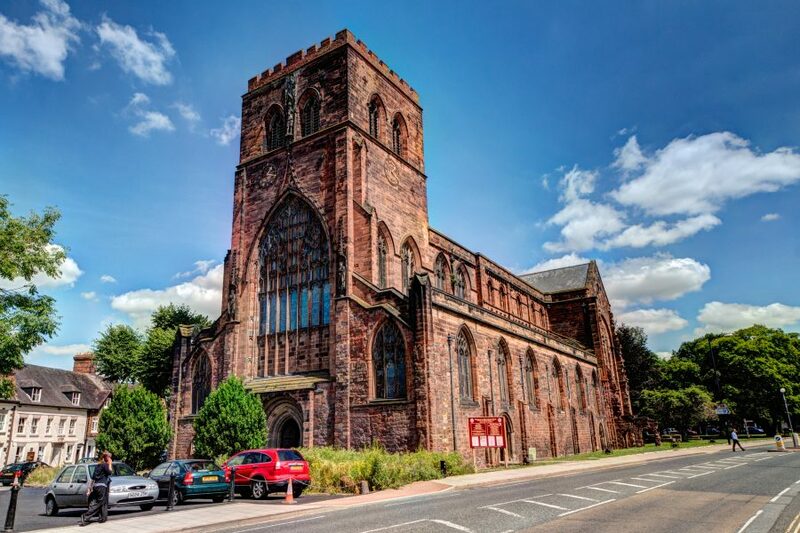 With tea and coffee available, and an informative commentary on the return leg, we’d highly recommend it as a good way to unwind while learning about the town’s history at the same time. 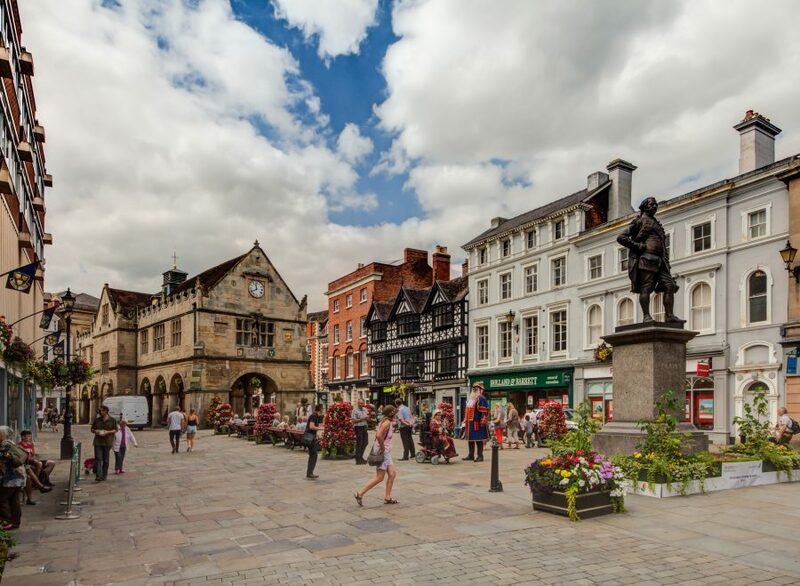 Shrewsbury is known for its quirky independent shops and restaurants so there’s no shortage of places to visit. 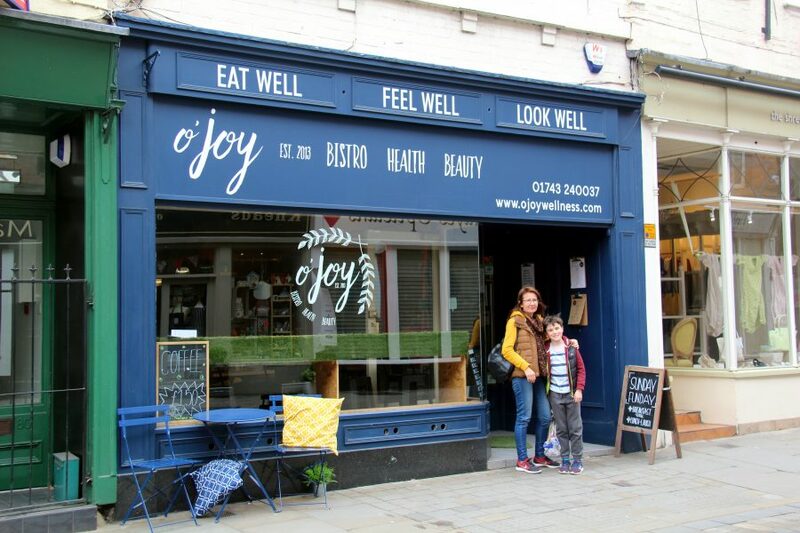 One lunchtime we tried O’Joy on Wyle Cop, where TV presenter Nick Knowles is a partner. This rustic-styled, cosy restaurant is central and exudes a relaxed atmosphere. With everything on the menu vegan, it was ideal for us. The O’Joy bean burger with sweet potato wedges was particularly tasty and if that doesn’t fill you up, try their cake of the day which is sure to please. 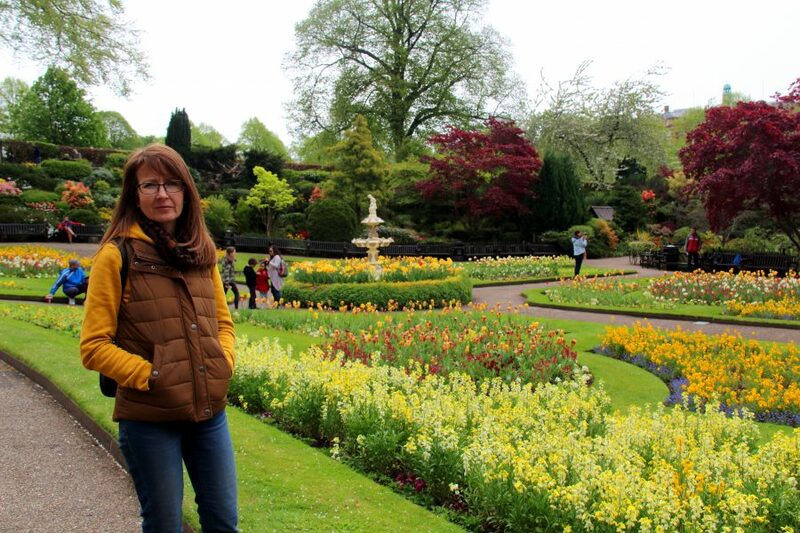 Once again, our trip to Shrewsbury didn’t disappoint. There is always something to do for all the family, and being so compact it won’t even wear out the little ones. 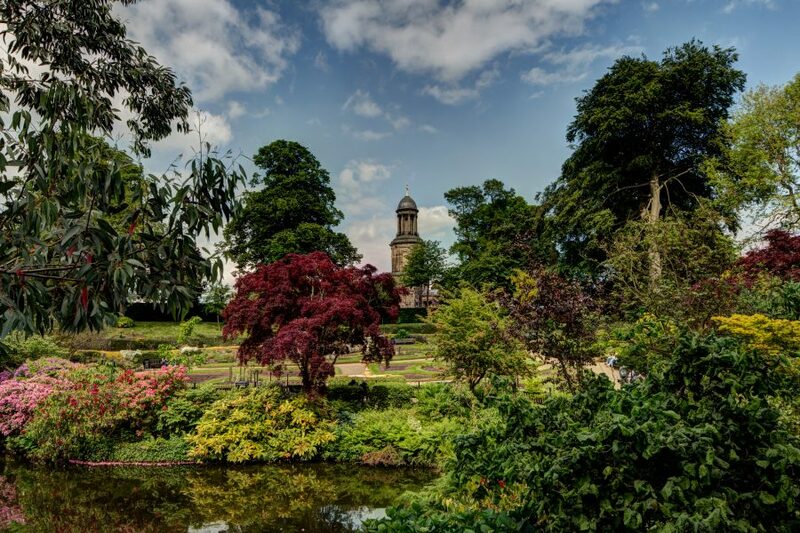 Apart from the obvious attractions, it’s great just wandering around exploring the town walls and historic buildings, not forgetting the Quarry Park and ‘Dingle’ Garden which are lovely sights whatever time you visit.